This dataset displays location for vehicles that have been towed and impounded by the City of Chicago within the last 90 days. Illegally parked vehicles, abandoned vehicles and vehicles used for illegal activities may be towed by the Chicago Police Department, the Department of Streets and Sanitation, the Department of Revenue, Aviation and the office of the City Clerk. After a tow request is issued, an inventory number is assigned by the Department of Streets and Sanitation and a truck is dispatched to tow the requested vehicle to a City auto pound. 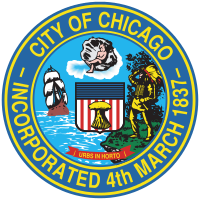 Disclaimer: This dataset includes vehicles towed or relocated by the City of Chicago; it does not include vehicles towed by a private towing company. Parking and Standing Violations (http://j.mp/ifW8Uj). Related Applications: Find Your Vehicle (http://j.mp/lWn0S7).